Arlene M. Davis is an attorney and Associate Professor of Social Medicine, as well as core faculty in the UNC Center for Bioethics. She is also an adjunct at the UNC School of Law. Arlene’s work focuses on clinical and research ethics and draws upon her prior experience in private practice and in pediatric and public health nursing. She teaches on topics related to ethics and to health law and co-chairs the UNC Hospitals Ethics Committee. She is also a Fellow at the UNC Parr Center of Ethics. Since 1996, Arlene has been co-investigator on a series of grants from NHGRI’s ELSI Program, including an historical, ethical, and legal analysis and reevaluation of policy where she focused on the federal regulatory framework of human subject protection and the case law of informed consent, and a six year study examining understandings of benefit and of vulnerable adult and pediatric populations enrolled in early phase gene transfer research. More recently, as an investigator in the Center for Genomics and Society, she is conducting research regarding the creation, understanding, and dissemination of genetic information through genetic screening and biobanking. Arlene is a faculty member of the Translational and Clinical Sciences (TraCS) Institute, funded by the NIH to effectively translate scientific discoveries into health improvements. She leads the education component of the research ethics teaching core. 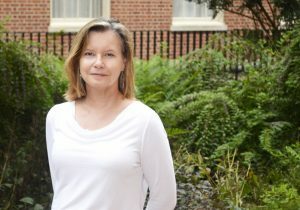 In other legal research and in conjunction with the School of Government, she co-directed a 10-year project examining the legal issues facing pregnant and parenting adolescents in North Carolina, an effort that produced four widely distributed legal guides, maintains an active web site, and informed North Carolina law regarding pregnant and parenting teens. She has also served as an IRB member and consultant to the Research Triangle Institute IRB for over 15 years. As co-chair of the UNC Hospitals Ethics Committee and director of clinical ethics services, Arlene works with a multidisciplinary team to offer ethics consultation and education in a variety of settings. Consultation is available to patients and their families, as well as the staff caring for patients. Educational sessions with medical and hospital staff occur in small or large group sessions, as well as on clinical rounds.